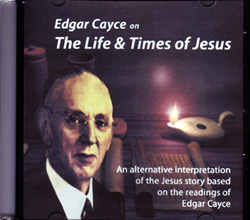 Having just finished and put up my previous post, Jesus as seen by Two Kids in NDEs/Visits to Heaven at the end of which I gave a link to my much older post, What did Jesus look like?, without really knowing why I googled “Edgar Cayce’s physical description of Jesus’, and guess what?… Lo and behold, here was a passage from Edgar Cayce I had read before in his books long ago but forgotten about when writing that old post!… It was very nicely quoted in ‘Soul India’ (http://www.soulindia.com/Jesus/Last_Supper/last_supper.html) so I copied it down below for it to be added at last to the rest of my research work; the last text in ‘Soul India’s article was already included in my own post, but it is nice to have it again here, it is so magnificent…! The text in the middle isn’t a physical description, but quite an important document too, I kept it as well. This Psychic Reading was given by Edgar Cayce at the end of check-physical reading [1315-3], this 14th day of June, 1932, after suggestion was given three times for EC to wake up. 1.EC: The Lord’s Supper – here with the Master – see what they had for supper – boiled fish, rice, with leeks, wine, and loaf. One of the pitchers in which it was served was broken – the handle was broken, as was the lip to same. 2.The whole robe of the Master was not white, but pearl gray – all combined into one – the gift of Nicodemus to the Lord. 3.The better looking of the twelve, of course, was Judas, while the younger was John – oval face, dark hair, smooth face – only one with the short hair. Peter, the rough and ready – always that of very short beard, rough, and not altogether clean; while Andrew’s is just the opposite – very sparse, but inclined to be long more on the side and under the chin, long on the upper lip – his robe was always near gray or black, while his clouts or breeches were striped; while those of Philip and Bartholomew were red and brown. 4.The Master’s hair is ‘most red, inclined to be curly in portions, yet not feminine or weak, STRONG, with heavy piercing eyes that are blue or steel-gray. 5.His weight would be at least a hundred and seventy pounds. Long tapering fingers, nails well kept. Long nail, though, on the left little finger. 6.Merry – even in the hour of trial. Joke – even in the moment of betrayal. 7.The sack is empty. Judas departs. 8.The last is given of the wine and loaf, with which He gives the emblems that should be so dear to every follower of Him. Lays aside His robe, which is all of one piece – girds the towel about His waist, which is dressed with linen that is blue and white. Rolls back the folds, kneels first before John, James, then to Peter-who refuses. 10.The basin is taken as without handle, and is made of wood. The water is from the gherkins [gourds], that are in the wide-mouth Shibboleths [streams? Judges 12:6], that stand in the house of John’s father, Zebedee. 13.He is the musician as well, for He uses the harp. 14.They leave for the garden. on The Last Supper was volunteered – after the suggestion was given three times for Edgar Cayce to wake up. 1.6/26/32 GD’s note: See Rdg. 262-22, Par. 16-A re attunement making possible 5749-1. 2.11/19/38 See 1315-10, Par. 16-A explaining why 5749-1 was given following 1315-3 for a Hebrew woman. 3.7/06/34 See EC’s dream under 294-161 Reports. In 1810, some workmen while excavating the ancient city of Amiternum (now Aquilia), in the Kingdom of Naple, found an antique marble vase in which lay concealed a copper plate bearing on the obverse side a long inscription in Hebrew tongue. This, when translated, proved to be the death warrant of Jesus Christ. 1. Jesus is a seducer. 2. He is seditious. 3. He is the enemy of law. 4. He calls himself falsely the son of God. 5. He calls himself falsely the King of Israel. 6. He entered into the temple, followed by a multitude, bearing palm branches in their hands. Orders the first centurion, Tuiluis Cornelius, to lead him to the place of execution. Forbids any person whomsoever, either poor or rich, to oppose the death of Jesus Christ. 1. Daniel Robani, a Pharisee. 2. Joannus Robani. 3. Raphael Robani. 4. Capet, a citizen. Jesus shall go out the city of Jerusalem by the gate of Struenus. ‘Son of God’. He raises the dead and heals all sorts of diseases.”He is a tall, well proportioned man, and there is an air of severity in his countenance which at once attracts the love and reverence of those who see him. His hair is the colour of new wine from the roots to the ears, and thence to the shoulders it is curled and falls down to the lowest part of them. Upon the forehead, it parts in two after the manner of Nazarenes. “His forehead is flat and fair, his face without blemish or defect, and adorned with a graceful expression. His nose and mouth are very well proportioned, his beard is thick and the colour of his hair. His eyes are grey and extremely lively. Appreciate these posts and the links you provide. Your earlier post edgar cayce’s advice on cataracts was illuminating. Just curious …what is your idea about jesus journeying to the east also to india? Also read with interest your experiences in the passport formalities, regarding the photo, I would say nothing beats the human skin’s interaction with the daylight from the sun.all other lighting is just so bland.